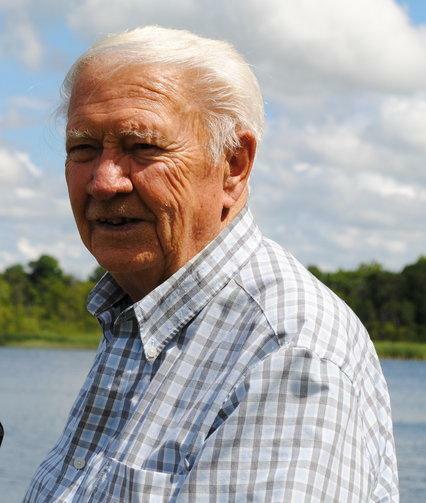 Passed away peacefully at Ross Memorial Hospital, Lindsay on Monday, May 25, 2015 in his 86th year. Beloved husband of the late Patricia Ann Churchill (2012). Loving father of Sandy Churchill (John Lamb) of Orillia, David Churchill (Rini) of Toronto, Kathy Cuddahee (Joe) of Ajax and Christine Churchill of Oshawa. Poppop of Rob, Jenn, Matt and Jessica. Survived by his sister Jean Churchill and Brother-in-law Jim McConnachie. Win will be sadly missed by all his relatives and friends. In keeping with Win’s wishes cremation has taken place. If desired, in memoriam donations to the Heart and Stroke Foundation or the Canadian Diabetes Association would be appreciated by the family and can be arranged by Parker Funeral Home and Cremation Centre, 705-324-1988. Online condolences may be made at www.parkerfuneralhome.ca.